Written by alessandro on December 7, 2017 . 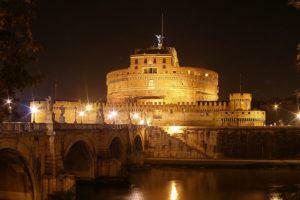 Posted in All Stories, Discover Rome, Itinerary. This castle should have had a funeral function, according to Emperor Adriano’s wishes, but it ended up with another role, becoming a defense fortress for the city. The castle is full with interesting things to see from execution courtyard, where the executions used to happen, to the prisons and the Hall of Apollo – the magnificent apartment built by Pope Paolo the 3rd. Going back towards our reception from Via Degli Scipioni street, within a few meters, you can see the metro station called Ottaviano, thanks to which, you can move easily around the entire Rome.